What are Plant Breeders Rights? Farmers originally conducted plant breeding, evidently picking the best seeds for next year’s crop. The original seed companies dealt with vegetables, since few people would let their vegetables “go to seed”. In the 19th century the US Navy was charged with bringing back seed samples from around the world, and the US government supplied farmers with seed through the mails. The major change occurred when Henry A. Wallace (who eventually became FDR’s vice-president) did something non-intuitive. In the 1920s he started crossing weak lines of corn and found that he could produce superior lines. The superior genes were recessive in those weak lines. This involved a number of crosses and thus a number of growing seasons before a particular line was bred. This was the beginning of commercial hybrid corn (and the Pioneer Seed Company). Hybrid corn has another feature: it does not reproduce true. If you replant it, you might get some of the line, but generally you will get the grandparent lines etc. The time it took to breed the final seed, the fact it did not “reproduce” and the increase in yields begat the seed industry. Another contributing fact is evolution. Eventually a variety or line ceases having commercial value. With field crops this can happen as “quickly” as 7 – 15 years. Consequently, a superior variety is necessary to replace the “exhausted” one. The result is that farmers generally buy their seed rather than replant. Hybrid corn is a de facto biological trade secret. Today there is a plethora of breeding techniques. Classic or traditional breeding has two themes: variation and selection. It focuses on the phenotype—that is, the manifested traits—and does not concern itself with any genes that do not manifest or are otherwise silent. While it entails the movement of hundreds, thousands, or even tens of thousands of genes (“genetic drag”), the only concern is the phenotypes. This is the oldest form of plant breeding. Sexually reproduced plants have greater diversity; by definition then it is difficult to maintain seed vitality. Backcrossing involves the original cross, between the variety that has the bulk of the phenotypic traits and the donor that has the single desirable trait. The next step is backcrossing the offspring (hybrid) with one of the parental lines. Generally, each backcross recaptures an additional 50% of the genes of the recurrent parent (50% by number, not 50% by identity), so that by the second backcross there is 87% recapture. This continues until the plant manifests the desirable level of genes and stability. By their thousands or tens of thousands, genes are shuffled, deleted, and sought out, and the only criterion is phenotype: the manifested traits. However, the shuffled, inserted, or augmented genes may be ignored so long as they do not manifest. Breeding failures are ploughed over. Strawberries, potatoes, perennial grasses, legumes, rootstocks, and bananas—can reproduce asexually, by means of roots, tubers, and stem or leaf cuttings. 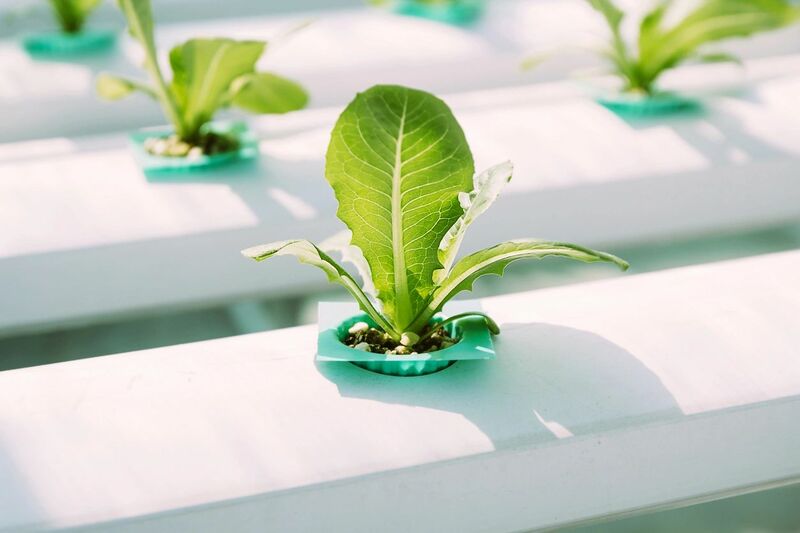 Plants that have been propagated vegetatively from a single plant are clones; classically, cuttings are used to propagate clones. Clones cannot adapt to environmental pressures since there is no genetic variation or evolution. Cloning techniques for plants are: vegetative (plant reproduces via rhizomes, bulbs, or root sprouts) and apomixes (seeds are produced asexually without the fusion of male and female gametes). This is the science and technology of inducing mutations (naturally occurring mutations are known as “sports”). It arose in the 1920s with X-ray-induced mutations, and acquired momentum after 1955 due to the collaboration among UN, FAO, and the International Atomic Energy Commission. Mutagenesis causes lesions in plant, thus damaging the DNA to generate agronomically useful mutants by any means—thermal neutrons, X-rays, ?-rays, gamma rays, fast neutrons, or chemicals. The chemicals react directly with the DNA bases to modify their structure. Breeders use a large number of seeds (about 100,000) to produce a second generation of 30,000 to 50,000 plants. If successful, a tiny number of useful plants will be produced, with the desired as well as undesired traits. They will then be backcrossed for a number to generations to produce an elite mutant variety. As of 2007, some 3,000 plant varieties had been so produced. Some 63 varieties of citrus are mutants or hybrids including mandarins, oranges, tangelos, lemons, and grapefruits. Some 200 varieties of bread wheat and some 25 varieties of durum wheat (for pasta) are mutants. This introduces novel genes into a crop genome from a donor with which the crop will not normally interbreed. It was identified in 1909, and practised since the 1970s. It removes the cell walls of plant cells of two unrelated plant species (when embryo rescue discussed below is ineffective), suspending these protoplasts in a medium, and then adding a chemical or an electrical current that fuses the protoplasts together. These fused protoplasts regenerate a cell wall and begin to multiply when placed in a nutrient medium. The nuclei of the two different species also fuse to create a hybrid nucleus that contains both sets of parental genes. From this cell culture, an undifferentiated mass of plant cells grows—a callus—which can be further manipulated to form “artificial” or “chimera” seeds. What results is a hybrid with DNA from both protoplasts. (Formally known as polyploidy induction) is use to produce fertility. When two unrelated plant species cross, the offspring is often sterile, as their chromosomes are so different that they are unable to form stable pairs during meiosis. Through the application of the chemical compound colchicine, an extract from autumn crocuses discovered in 1937, one can double the chromosomes in a genome. 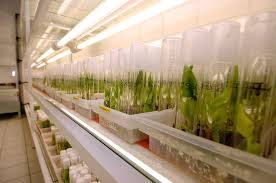 The technology involves the use of chemicals to force the production of artificial hybrids from unrelated species in order to transfer alien genes into crops. This technique exploits the fact that spontaneous mutations occur when plants cells are grown in vitro. In vitro multiplication of plants generates individuals with different phenotypes. These differences are thought to arise from genome instability during the in vitro phase, which may result in clones having different phenotypes than the parental clone. 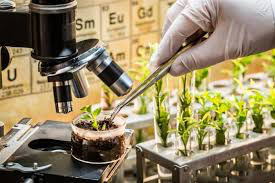 Plant cells are passed through tissue culture, a process that may involve a callus phase (de-differentiating the cells into a mass of callus and then regenerating new plantlets or embryos), and they may undergo certain spontaneous genetic changes. 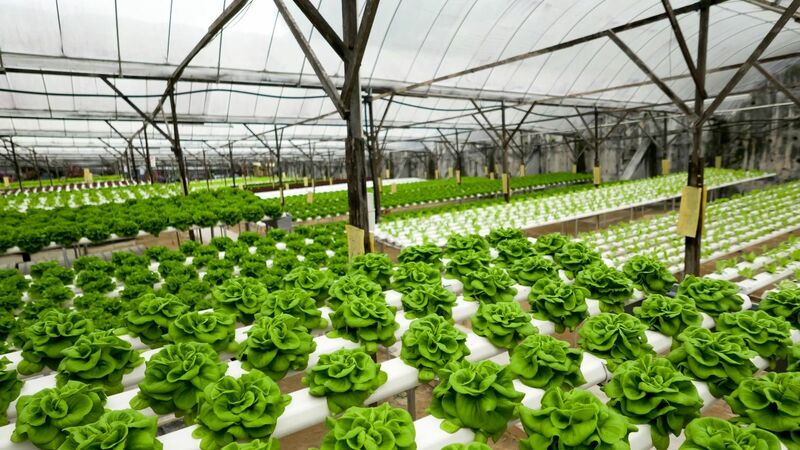 This can be further controlled by imposing physical stresses: cold, drought, high salinity, excess or dearth of nutrients, chemical regulators, and challenges by pathogens. Addresses the problem of a wide genetic cross (e.g., wheat with rye), and the embryo may abort at some time during development. This differs from somatic hybridization, where an embryo cannot form since the two parental species are too distant. In embryo rescue, the developing embryo is removed from the plant before abortion and cultured on an aseptic medium. The embryo will develop and germinate, growing into a plant. Generally, this approach is considered an intermediary technique—to transfer genes from incompatible species via intermediate, partially compatible relatives of the donor and recipient. Conventional breeding techniques have their drawbacks. Mutagenesis requires tens of thousands of plants or seeds to be exposed to mutagenic agents; widespread DNA damage and mutated genes (variation) are created, with the hope for a useful phenotype (selection). Wide crosses (seen in embryo rescue, chromosome doubling, and somatic hybridization) have increased the flexibility of transferring desirable, but unidentified genes (selection) between different species or genera (variation). Most of these processes involve “genetic drag”. These are the thousands or tens of thousands of “silent” genes a few of which have been known to manifest at the wrong time. Avoids the necessity to shuffle thousands of unknown genes in the pursuit of the unknown gene(s) that manifest(s) the known trait, all of which might have to be backcrossed using tens of thousands of plants.. With rDNA the developer seeks the trait, the protein that manifests the trait, and the gene (called the target gene) that codes for the protein. The target gene is then decoded (base sequence order), and a new copy (called the event) is synthesized. The developer identifies the appropriate promoter and regulator for the event and chooses the most effective vector. The developer inserts the cassette into the target genome and uses a gene marker to confirm incorporation. This package is called the gene construct. If the event is not from the same species, one must use promoter and terminator genes that are harmonious within the target species genome. Operates on the fact that up to 95% of a plant’s genome has repetitive elements, pejoratively and incorrectly known as “junk” DNA. The gene has mechanisms for silencing junk and viral infections. These mechanisms can also be used to silence undesirable traits, such as those that code for ripening enzymes or those that code for allergies. These mechanisms can also be used to “unsilence” genes of merit without the need for a construct. Plants are plants expressing traits that could have had that genetic material inserted through conventional breeding methods, but instead these genes are inserted using rDNA techniques. These plants are genetically modified with one or more genes (including the native promoter and regulator regions) isolated from a crossable donor plant or isolated from within the existing genome. With cisgenics the donor plant was crossable or sexually compatible with the recipient plant. The recipient plant can even be the donor. Also known as site-directed gene repair, is a mixture of RNA and DNA identical to the target organism with the exception that a corrected gene has been substituted for a defective gene in the organism. In medicine, the method might lead to cures/rectification of genetic diseases in humans. In agriculture it would allow changing the DNA of plants without using genes from other species to rectify a perceived deficiency. A method of performing conventional plant breeding in which researchers locate DNA sequences in a plant’s genome that are consistently associated with desired trait(s) (selection). Those sequences can then be used to screen for and predict the presence of those traits in the progeny of traditional crosses. what if the desired gene is not in the genome? A cross between rDNA and mutagenesis, was first initiated in 2000. It commences with normal mutagenic processes to create a large, genetically diverse population. The next generation of mutants are then screened to detect mutations in genes of interest. The last stage is to confirm and evaluate the phenotype of the selected mutations and their coding genes, while not growing any plants. TILLING was used to identify “waxy,” a gene that has a role in determining flour and bread quality. The world actually tracks two basic regulatory regimes when dealing with plants and crops. One is product focused, and also known as science or rules based. The other is process focuses and also known as social or values based. This regulatory dichotomy was first identified by Prof. Grant Isaac then of the University of Saskatchewan. His regulatory matrix is reproduced below. Canada has a rules / based / science based regulatory regime. This engages an entire matrix, as noted above. The fundamental pivot that elicits scrutiny is the product not the process. To that end, GMO / GE plants are not regulated qua GMO. Rather, a plant comes under regulatory glare whenever is meets the definition of novelty—however that was bred in — mutagenesis, protoplast fusion or rDNA etc. Therefore, in Canada the key legal and regulatory concept is a Plant with Novel Traits, or PNT. The Seeds Act fixes whether or not a seed from scheduled crops can be sold in Canada as well as the standards for seed companies and marketing. The definition of “sell” is all-encompassing. Virtually all of the regulatory strictures are found in Seeds Regulations. It is worth noting that the Seeds Act captures primarily field crops and potatoes. Most vegetables and tree fruits fall outside of its compass. 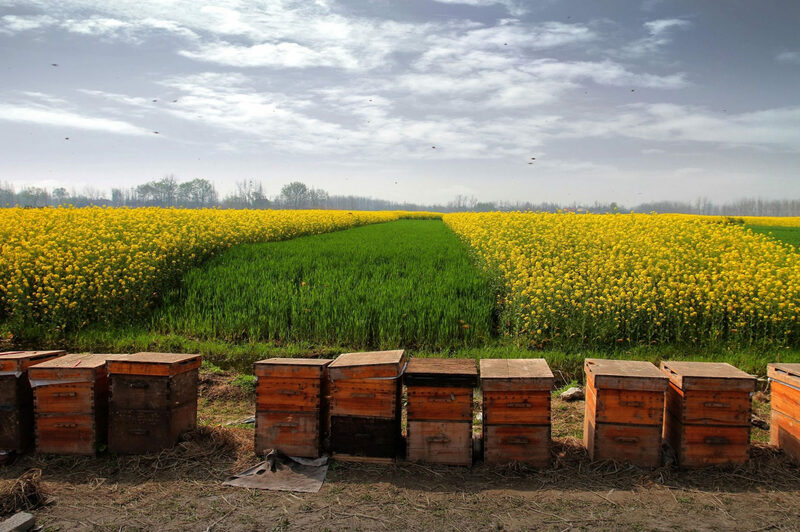 The purpose of the Act and Regulations is to govern the testing, inspection, quality, and sale of seeds. No one can sell or dispose of seeds for consideration unless the seed is registered, at which point it is called a “variety.” The Seeds Regulations also define “seed” to include derivation through biotechnology. The mechanics of the registration system are set out in the Seeds Regulations. Within those chapters are provisions idiosyncratic to certain seed types (e.g., field crops), seed standards, accredited graders, and seed testing. Merit requires that the variety is equal or superior to appropriate reference varieties with regard to characteristics that render the variety beneficial for a particular use in a specific area of Canada. This entails documentation including: description of pedigree, origin, methods of development, experiment results, etc.. This often requires 10 or more years of breeding and the production of attendant records. The pivot of the regime is the recommending committee(s). The recommending committees conduct the growing or experimental trials on the proposed variety. At least two years of co-op trials are required as a prerequisite for subsequent regulation. The registration committees have sub-committees, generally along three themes: disease resistance, agronomy, and quality. A report is made to the main committee, and a plenary vote is taken. Interim registration is granted if the seed has merit but further evaluation is still required (because of insufficient data), in which case a registration may be granted for between one and five years. Regional registration is granted if the variety might be problematic—if it has disease susceptibility in certain regions or might be confused with other varieties. 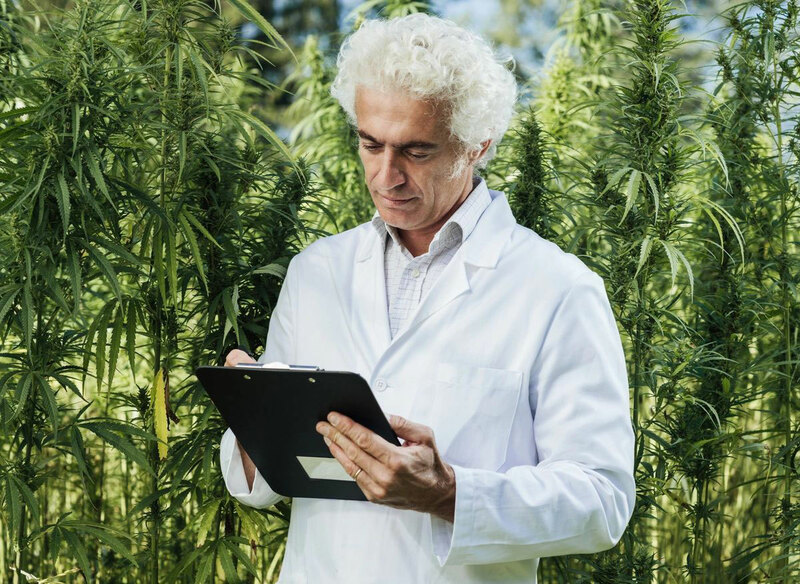 Contract registration imposes restrictions on a variety due to its biotechnology (biochemical or biophysical characteristics) that can make that variety confusing or threatening to similar varieties. Variety registration solely grants permission to sell the seed. It grants no property rights. For intellectual property rights, one must register pursuant to the Plant Breeders Rights Act (PBR), which is the domestic manifestation of the international treaty, the International Convention for the Protection of New Varieties of Plants (UPOV). Once registered the variety is now known as a denomination and technically has a denomination "name". That name cannot be a trade mark or be trade mark since trade marks can be perpetual, and a denomination name can only subsist as long at the PBR rights subsist. The UPOV system has been revised three times (in 1972, 1978, and 1991), each time strengthening the rights of the breeder. Canada ratified the 1978 version, the US the 1991 edition. It is worth noting in Canada you can patent the gene but not the plant, while but in the US you can patent the plant containing the gene. The practical outcomes are the same, you can enforce your IP rights. Canada does not regulate genetically modified plants qua genetically modified plants. Rather the product – the phenotype — not the genotype or process or production method that attracts regulatory scrutiny. Providing a sound scientific knowledge base on which to assess risk. Dealing with safety in the milieu of probability and magnitude of any adverse effects, rather than the absence of risk. The PNT arose in Canada in the early 1990s when regulators faced the conundrum of the same trait herbicide-tolerant canola was created by different breeding methods: mutagenic, and rDNA. The resulting policy decision held that the potential threat to the environment from the plant traits arose irrespective of the breeding technique that introduced those traits. Henceforth the regulatory focus would be on the “novel” trait, and not on the breeding technique that begot or introduced that novel trait. Breeding techniques of course include rDNA; mutagenesis, somaclonal variation; chromosome doubling; protoplast fusion; inter species crosses; embryo rescue and the dilemma of cisgenes and gene silencing. The policy interpretation of the regulation is that a plant contains a novel trait if the trait is either not present in plants of the same species already existing as stable, cultivated populations in Canada, or is present but at a level significantly outside the range of that traits in stable, cultivated populations of that plant in Canada. There are three contexts for interpreting novelty: trait introduction, trait modification, and incremental increase. Germplasm is plant material with unknown phenotype or genotype. A cultivar is a plant that manifests certain phenotypes but is not registered as either a variety or denomination. A variety in Canada that is both a field crop and has merit and identification is therefore registrable under the Seeds Act. It can now be sold but no IP rights (exclusivity) are bestowed. A variety or cultivar can be registered under the Plant Breeders Rights Act, granted the variety is distinct, uniform and stable. Now exclusive IP rights vest in that plant now known as a denomination. Those rights subsist for 18 years from issuance. Denominations are found not only in field crops or tender fruits, but especially in ornamentals (flowers/bushes). Denomination names cannot be trade-marked and vice versa. A PNT cannot be registered as a variety or denomination until prior regulatory hurdles are met. Thereafter a PNT can become a variety or denomination. I am sometimes labeled with the moniker “plant lawyer” which is a tad misleading as being too narrow. Yes, I indeed have domestic and international experience with plants, genetics and agricultural crops. But, I also have experience with a plethora of advanced technologies–software, mechanical, optical, chemical processes–in food and other contexts. I am particularly experienced with the drafting and law applicable to confidentiality agreements (more commonly called non-disclosure agreements) and licenses. The new issue with confidentiality agreements is the fact that much of the confidential information is really an aggregation of publicly available or public domain data. The exemptions in the CA / NDA must contemplate that reality. Licenses have a number of issues, not the least of which include import / export provisions (“gray goods”); non-impeachment of the IP; improvement grant-backs & forwards; march-in or reach-through rights; and the scope of field of use. A hidden danger lies in the ubiquitous entire agreements provision. CA/ NDA or even consulting and collaboration agreements precede most licenses. The question is whether these agreements must mesh and harmonize or the licence takes precedence? Hence the need not only to give effect to the parties’ obligations but also to manifest the parties’ underlying needs and risk allocations.